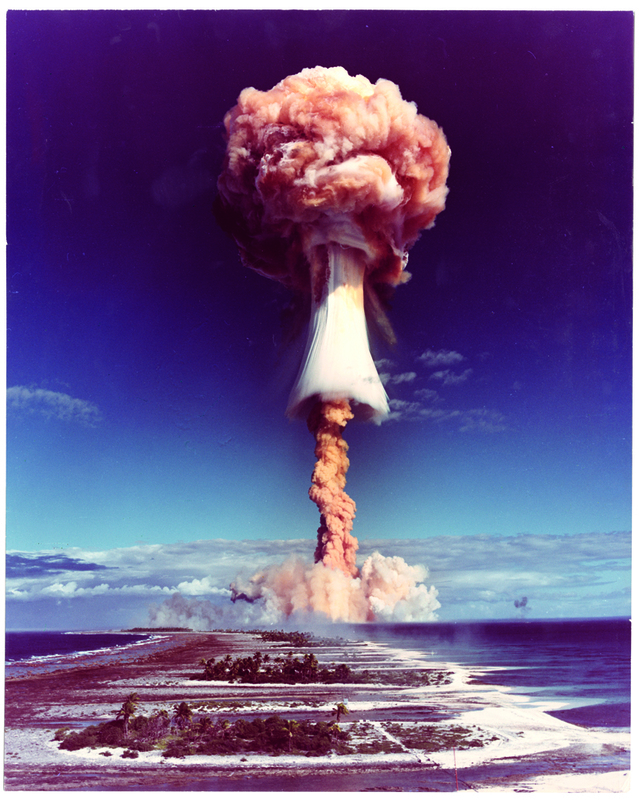 Since its invention, the medium of photography has been used in depictions of war and violence. The internationally acclaimed artist duo Adam Broomberg and Oliver Chanarin explore this tradition and photographic representations of human suffering. The works in the exhibition revolve around two well-known books – German playwright Bertolt Brecht’s War Primer, and the King James Bible. Both series highlight how visual portrayals of war have changed over time, but also the constant presence of war in the history of humanity. While Bertolt Brecht was living in exile from Germany during World War II – in Sweden among other countries – he collected newspaper images about the war. He was profoundly skeptical of the use of photography as a witness of truth. 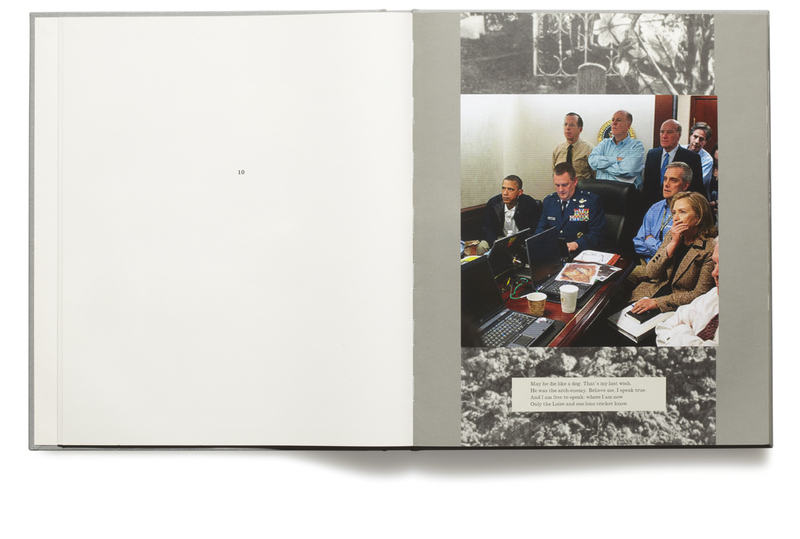 In War Primer he combined the press photographs with short poems, as an attempt to decode and understand the images. 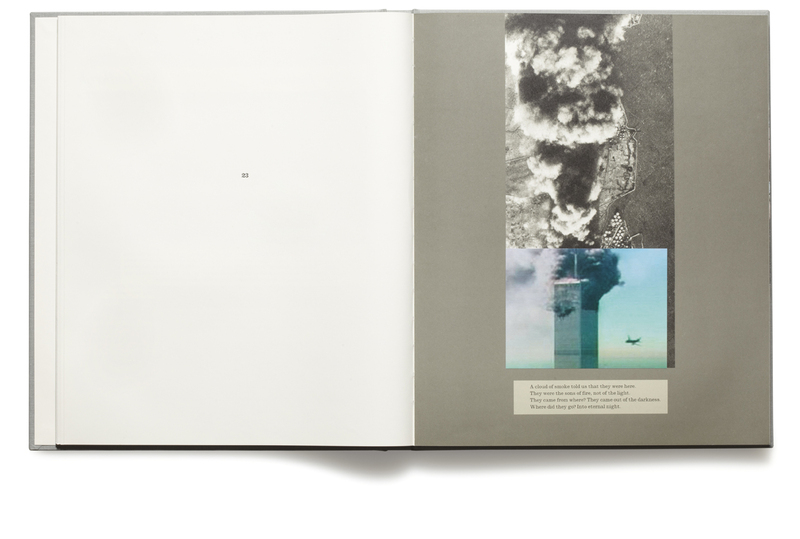 Broomberg and Chanarin have used the book and added contemporary media images from the internet about the so-called ‘war on terror’, resulting in the book War Primer 2. When the new images encounter Brecht’s collages and poems, a new reading of both time periods occurs, completely in line with Brecht’s Verfremdungseffekt – a method of creating distance to a familiar phenomenon in order to examine it in a critical way. While visiting the Brecht archive in Berlin, Broomberg and Chanarin came across Brecht’s private Bible. In it he had gathered further newspaper clippings. Inspired by this, the artists created the series Divine Violence. 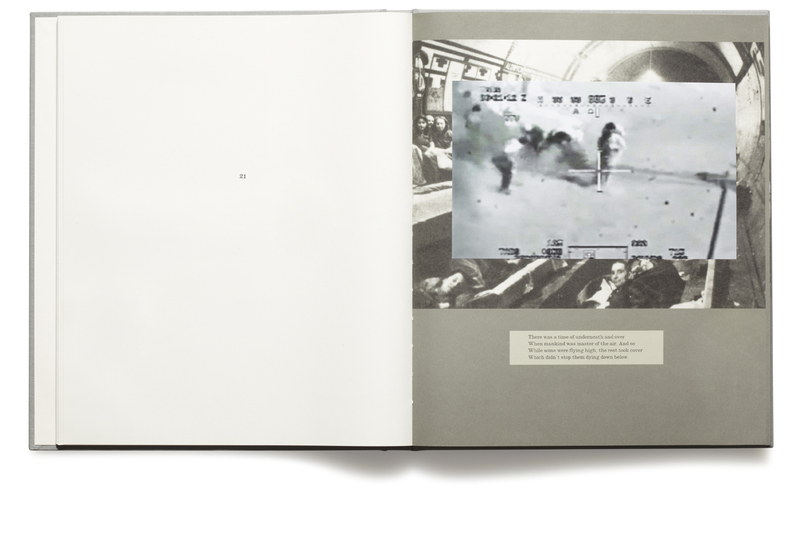 With the help of images drawn from the Archive of Modern Conflict in London, they illustrate passages from the Bible that are mainly focused on violence. The intention is once again to challenge passive consumption and readings of images depicting abuse. The title of the exhibition – Don’t Start with the Good Old Things but the Bad New Ones – is a quote by Brecht, encouraging critical reflection on the present. Broomberg and Chanarin use Brecht’s works to shed light on our own, often violent time. Since 1985, the International Center of Photography (ICP) in New York has recognized outstanding achievements in photography with its prestigious Infinity Awards. Harbers Studios commissioned MediaStorm, on behalf of ICP, to create a short film about Adam Broomberg and Oliver Chanarin, the 2014 recipients in the category Publication. Adam Broomberg (born 1970 in Johannesburg, South Africa) and Oliver Chanarin (born 1971 in London, UK) are based in London and Berlin. Their first exhibition took place in 2000 at the Hasselblad Center. Since then they have been awarded the Deutsche Börse Photography Prize 2013 for the book War Primer 2, and the Infinity Award from the International Center of Photography 2014 for the book Holy Bible. They are Professors in Photography at the Hochschule für bildende Künste (HFBK) in Hamburg. Their work is represented in private and public collections such as Tate Modern, and the Victoria and Albert Museum in London, the Museum of Modern Art in New York, and Stedelijk Museum in Amsterdam. In the summer of 2016 they participated in the exhibition WATCHED! Surveillance, Art and Photography at the Hasselblad Center. This exhibition is produced in collaboration with C/O Berlin and curator Ann-Christin Bertrand. Curator at the Hasselblad Foundation: Dragana Vujanović Östlind.